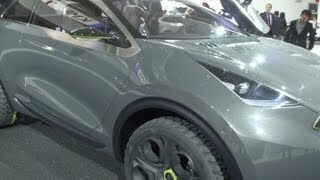 Kia will have the public debut of the Kia Niro Concept, a dramatic new European concept, at the 2013 Frankfurt Motor Show next month. 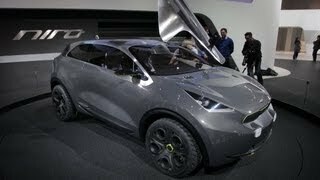 The car was designed at Kia’s Frankfurt design studio – less than a kilometre away from the IAA. 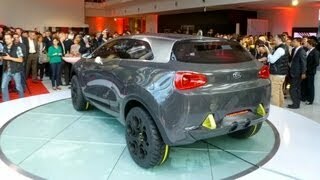 A teaser of the concept was revealed earlier with the name B-Segment Concept 2013. 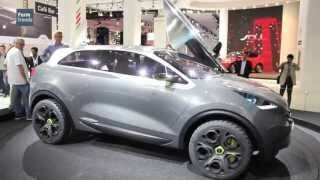 The 2013 Kia Niro Concept has been designed to gauge public reaction for a future B-segment model to take on the urban environment with style and tenacity. Niro combines a mischievous character in a clearly robust and substantial yet stylish bodyshape featuring a mix of contrasting materials – including stainless steel elements. 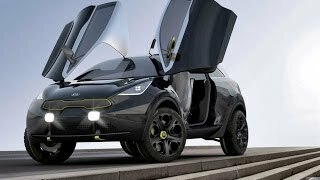 Looking at the images, the Niro Concept is a compact crossover coupe with a staple Kia grille outlined in yellow and having butterfly doors. The side-view mirrors and wipers are also highlighted in yellow. For more information, we’ll have to wait until its unveiling at the Frankfurt Motor Show.